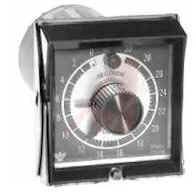 Plug This Electronic Timer in to Replace Any of your EAGLE HP5 Electro-Mechanical Timer! 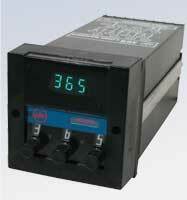 Tenor Model 655-8-3000 is a plug in replacement timer for all Eagle HP5 series timers. 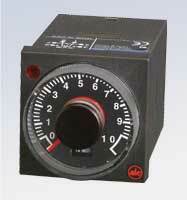 This unit has DIP-Switch selectable time ranges from 0.001 seconds to 200 hours. Its unique design allows installation without wiring or housing changes in most applications. 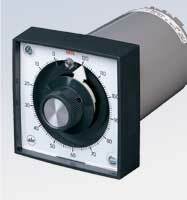 This timer allows the setting of the time set point even when no power is applied to the timer. The 655 is competitively priced with mechanical units and offers increased accuracy & reliability due to its electronic construction. 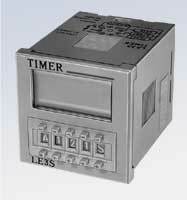 The ATC 652 is a micro-processor-based timer with a 4-1/2 digit LCD display that can provide an indication of either preset time remaining or elapsed. There are five timing ranges covering time values from one millisecond to 199 hours 59 minutes. The unit has both an instantaneous relay output and a programmable relay output which can be programmed for any one of 14 different timing modes. Includes Repeat Cycle Mode with adjustable ON and OFF times. 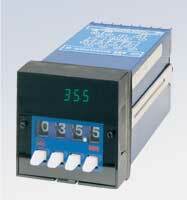 The ATC 653 is a micro-processor-based control that can function as either a Timer or a Counter. 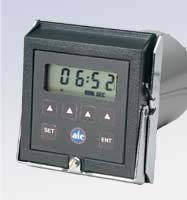 The ATC 653 has a 4-1/2 digit LCD display that can provide an indication of either the time or count value remaining or elapsed. There are five timing ranges covering time values from one millisecond to 199 hours 59 minutes. There are also three count speeds to a maximum of 7500 counts per second. The unit has an instantaneous relay output and a programmable relay output which can be programmed for any one of 14 different timing modes. 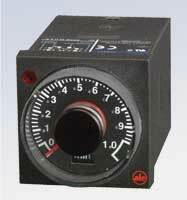 The timing range, count speed and timing mode are programmed with an internal DIP switch assembly. The time or count value is preset by the operator using the keypad on the front face. The keypad can also be used to perform secondary functions such as reset, immediate time/count out, time/count inhibit, changing the direction of the display, displaying the number of cycles run, and clearing the cycle counter. 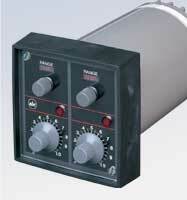 The Model 653 is housed in a standard 15-terminal plug-in round case. 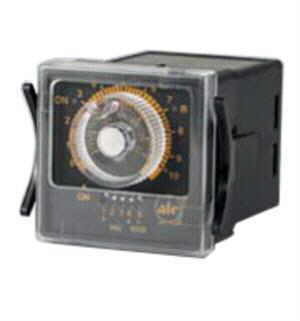 EAGLE HP5 Cycleflex is a Motor Driven Electric Reset Timer in the standard CYCL-FLEX® plug-in housing. It includes a red progress pointer to display remaining time interval, pilot light indicates when timer is running. Knob adjustable time setting. 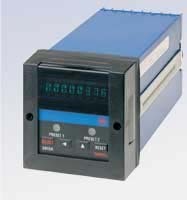 The EAGLE CX200 Series (CX202A6 for 120VAC Power Source) is a Microprocessor Timer/Counter with 199.99 seconds to 199.98 hours delay or 19999 Counts. Supports On-delay/standard start, OFF-delay/reverse start, interval/one-shot, asymmetrical repeat cycle. 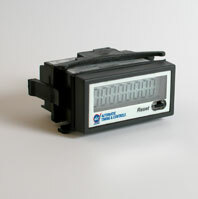 Timer is housed in a standard 15 terminal CYCLFLEX plug-in case. 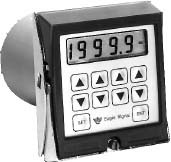 The EAGLE CX300 Series (CX312A6 for 120VAC Power Source) is a Microprocessor Timer/Counter Time range and the type of start input switch operation are programmed with 7 miniature rocker switches located inside the unit housing. The front panel of the CX300 is a sealed membrane keypad which provides excellent protection for most industrial environments. 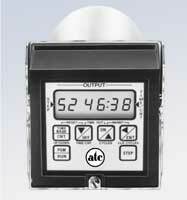 This Timer includes additional timer/counter modes not available in the CX200 series. 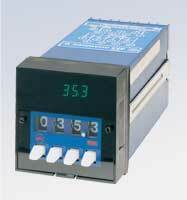 Models AT8N 1/16 Din Multi-Range Time Delay Relays offer timing ranges from 0.05 Second to 100 Hours. Eight (8) pin socket connections. Can be socket or panel mounted. Six programmable output modes are included. 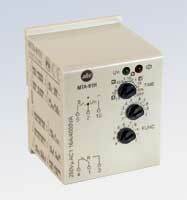 Models AT11DN and AT11EN 1/16 Din Multi-Range Time Delay Relays offer timing ranges from 0.05 Second to 100 Hours. Eight (11) pin socket connections. Can be socket or panel mounted. Six programmable output modes are included. 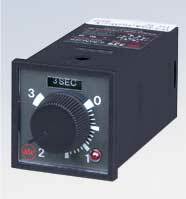 The ATC 353 is designed for use in DC start logic control systems It provides interval, delayed or repeat cycle pulse control of a SPDT relay. Up/Down Toggle levers for setting and adjustment of preset time. Field convertible Timing Ranges 0.01 - 99.99 Sec. or Min. 0.10 - 999.9 Sec. or Min. Field convertible Timing Ranges 0.01 - 99.99 Sec. or Min. .010 - 999.9 Sec. or Min. 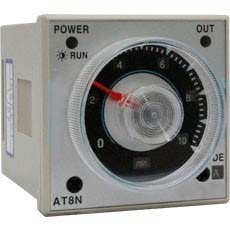 The ATC 365 Timer is a microprocessor based digital timer with three rotary switches for setting and adjustment.Preset. Timing (.01 Sec. to 999 Hrs) and display options (time-up or time-down) are switch selectable. Plug-in panel mounting allows replacement without removing field wiring. 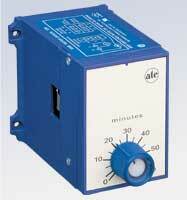 The ATC 405 is a 1/16 DIN style timer which can be panel mounted or plug-in using an 8-pin octal mounting socket. Available in two versions. On Delay with instantaneous and delayed relays, or On-Delay/Interval with two delayed relays. Each 405 offers Timing Ranges from 1 Sec. to 10 Hrs. or 5 Sec. to 50 Hrs and Universal Voltage Operation. 1 Sec., 10 Sec., 1 Min., 10 Min., 1 Hr., 10 Hr., or 5 Sec., 50 Secs., 5 Min., 5 Hrs., 50 Hrs. Two modes of operation, On Delay or Interval timing modes. The unit has a set DPDT output contacts rated for 10 Amps. When in ON-Delay Mode, the contacts transfer at time out. When in the interval Mode, the contacts transfer when power is applied and released at time out. 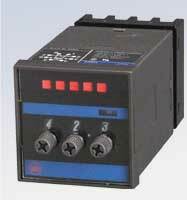 Universal Power: 20 to 240V AC or 12 to 240V DC power. 1/16 DIN Housing and plugs into standard 8 Pin Round Socket for wiring. 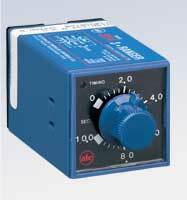 ATC 314 is an economical multi-range solid-state Time Delay Relay. 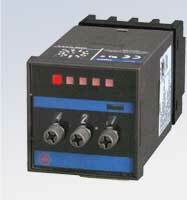 Available as Off-delay (delay-on-break) and Interval On-Delay operation. 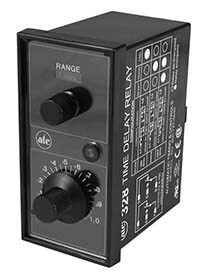 Our ATC 328 Multi-Range Multi-Function Timer is a versatile dial-adjusted time delay relay, which provides a choice of On-Delay, Off-Delay or interval operation for any timing period between 50 milliseconds and 10 hours. 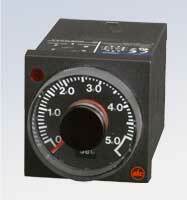 The Timer features cycle progress indication and is suitable for the most demanding industrial service. Two models are available. Each has six dial selected ranges from fractions of a second to as long as 10 hours. Each model has a selectable on-delay or interval timing mode. 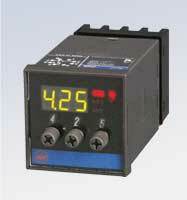 ATC MTA Series Multi-Function, Multi-Range Time Delay Relay, 11 Pin Base. 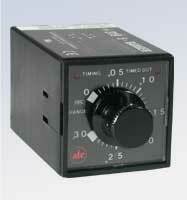 The ATC 422AR Flip-Flop Timer is a Repeat Cycle Timer with adjustable ON and OFF times. Two knobs are used to individually adjust the times. The 422AR can be configured with either the relay being energized during the first timing period or de-energized during the first timing period. The 422AR include 6 selectable timing ranges that can be set individually for the ON and OFF time. 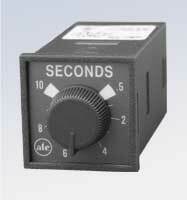 The ranges are 1 and 10 SEC/MIN/HRS dip switch selectable. Having this flexibility allows for a load to be energized for a brief time over a cycle that lasts up to 10 hours. 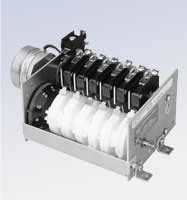 The 422AR 1/16 DIN housing is compact, and designed for panel mounting. The timer is mounted in an 8-pin round socket. 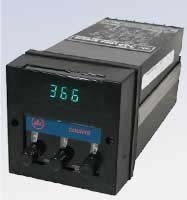 The 422AR is universal powered by 20 to 240 VAC or 12 to 240 VDC operation voltage. 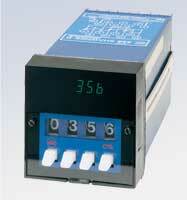 The output of the 422AR Flip-Flop timer is DPDT mechanical relay contacts 10 amps. 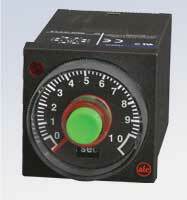 Individual LED indicators for ON time and OFF time are included and also provide progress indication. One to twelve precision switches. Wide range of cycle times—270 cycle times between 3 sec and 60 hrs. ATC 7DT-2CH Series 7 Day Timer is a DIN Rail Timer, ideally suited for timing applications needing a daily or weekly schedule. 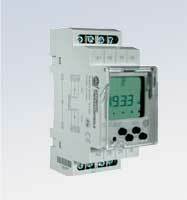 LCD display provides visible indication of output, mode, day and time. 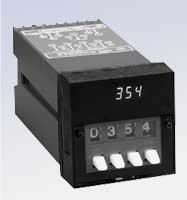 Includes two independent channels and 16A contacts, the 7DT-2CH 7 Day Timer provides high accuracy in a convenient DIN Rail mounting package. ATC 765 Series Programmable Count Time Control is the perfect alternative to cam timers and micro PLC’s for simple sequential applications. Microprocessor-based, it offers 100 control steps, 8 programmable relay outputs, functions with count input signals or timed input with 4 timing range values from 0.01 seconds to 99 hours/59 minutes and a host of other primary and secondary keypad functions. Tenor 765 Sequencer; Replaces motor driven cam timers with digital accuracy.